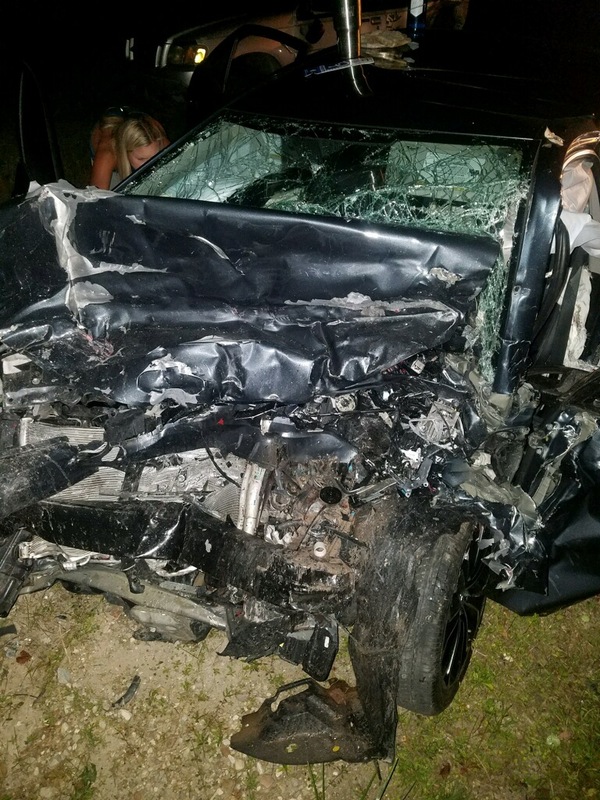 On September 9, 2017, Jordan Holifield was involved in an accident on McDonald Road involving a fatality. Jordan is a 19-year-old sophomore College student who pitches for Mississippi College. On Saturday Morning, September 9, Jordan was traveling southbound on McDonald Road heading to a friend’s house to ride horses. A car heading Northbound on McDonald Road crossed over a median and hit Jordan in a head-on collision. The driver of that vehicle was not wearing his seatbelt and was killed instantly. Jordan was wearing her seat belt. 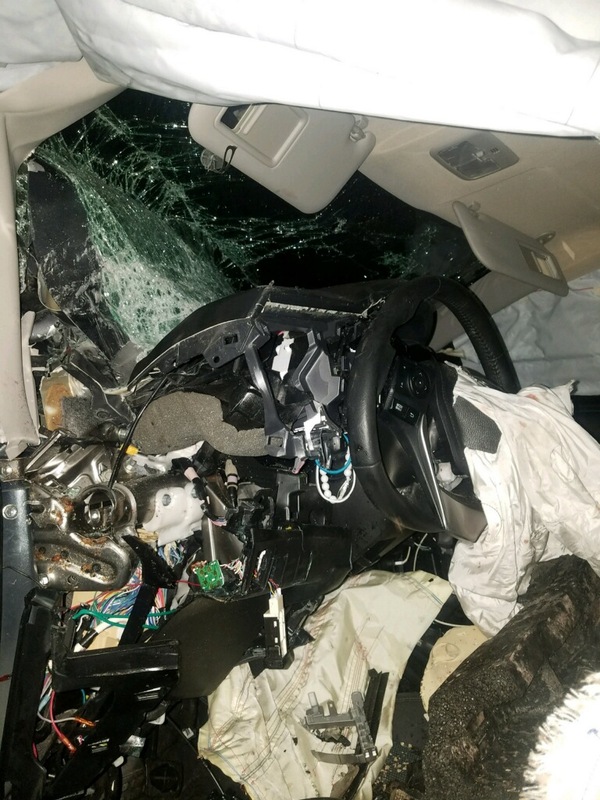 “I know that SEAT BELTS SAVE LIVES,” said Jordon. 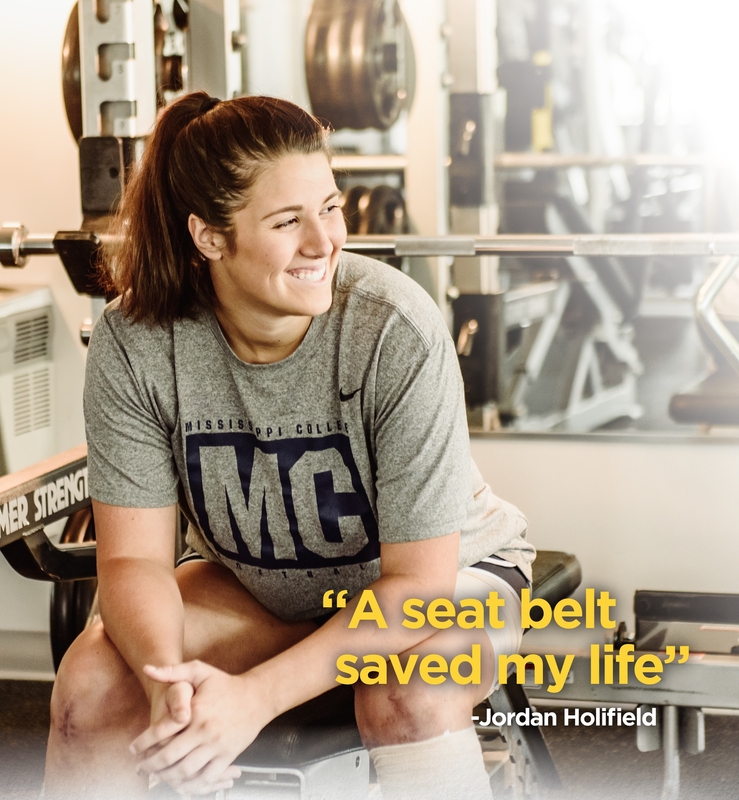 “I would not be here today if it weren’t for my seat belt.” Jordan was life-flighted to a local hospital at the scene and has suffered a broken pelvis, 2 broken femurs, a severe leg wound and lower back injuries because of the accident. 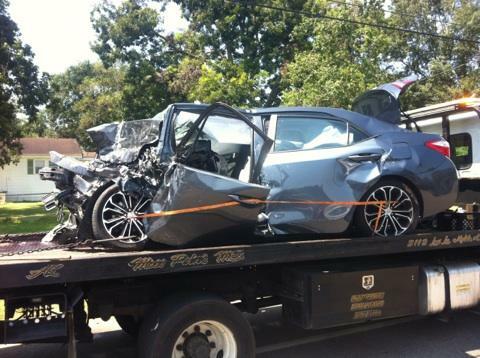 Today, she is on her way to recovery and hopefully returning to Mississippi College for Spring Semester. During Hurricane Harvey, Jordan’s father was one of our deputies who traveled to Houston to serve hot meals the first responders. 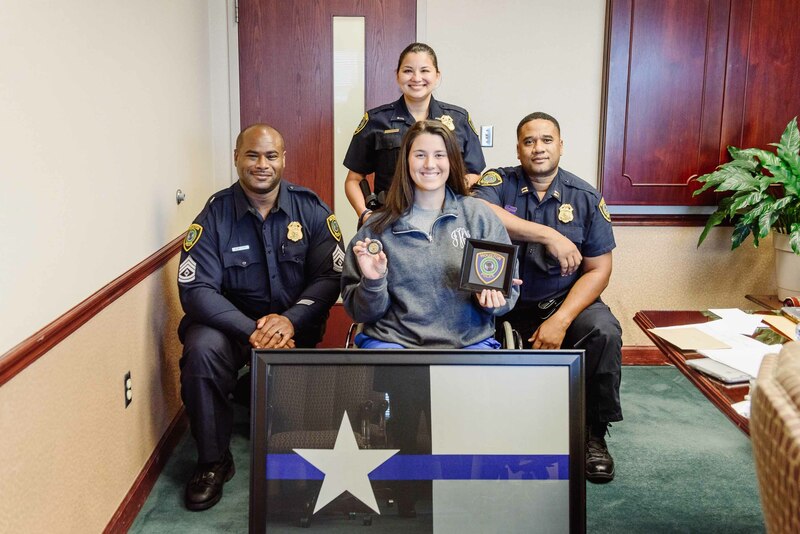 Months later when the Houston Police Department learned of Jordan’s car crash, they sent three officers to Mobile to support Jordan and her family.